Our Fitness Services. Your Wellness. 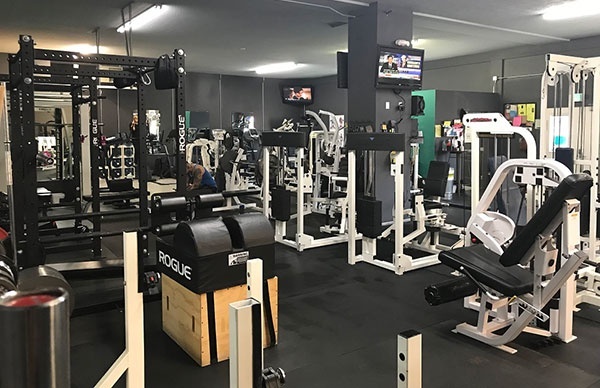 The Midnight Sun Athletic Club, conveniently located between Palmer and Wasilla on the Palmer-Wasilla Hwy, offers you a friendly and pressure-free atmosphere. Our personal training services are tailored to fit your specific goals and needs. We also have boot camp options if you’re interested in working out but not interested in committing to a gym. Ask us about what we have coming up or check out the latest boot camp being offered here. Aside from gym equipment, our other facilities include showers, ample parking area, and a seasonal outdoor workout area. Inspire a friend to live a healthier life by bringing him or her to our gym one time free. Three-day passes are available for out-of-towners* and 10% discounts are available to all veterans and first responders for all memberships, with the exception of our sloper rate. Our affordable “little gym with a big heart” is a unique space for anyone wanting to get healthier. Check out our memberships and services. Choose our personal training services at The Midnight Sun Athletic Club to help escalate your fitness goals. Let us be part of your fitness journey and we’ll be with you every step of the way. Our personal training sessions are conducted by our highly competent fitness trainers. If you’re not yet comfortable working out alone, we have boot camp and group workout sessions for you. Talk to us today and ask about how our personal training services can help you! 15 days prior to the end of current membership/contract. This is an excellent option for those who do not wish to pay month to month, who wish to save a bit of money, and do not want to be on a contract. Excellent option for those who do not wish to pay month to month, wish to save a bit of money, and do not want to be on a contract. Excellent option for those who do not wish to pay month to month, wish to save a bit of money, and do not wish to be on a contract. If you are interested in competing in a bodybuilding competition but have no idea where to start, I offer 1-hour individual posing sessions to get you ready for stage! I break every aspect of the pose(s) down for you so that you understand the 5 W’s and what the judges may be looking for. You'll find some of our standings on my personal training page. Aside from that, I also rent out posing suits. I have a variety to choose from so feel free to ask me about those as well.